The Walking Dead has been renewed for season 5, but wasn’t that practically a given? The hugely popular television hit that has captivated audiences, and smashed television ratings, will be coming back next year for season 5. The Walking Dead is the number television show among adults ages 18-49, which happens to be the most important demographic. In fact, the season 4 premiere brought in 20.2 million viewers, and 13.2 million viewers in that most important demographic, which set a new record for a any non-sports telecast. AMC also announced recently that they will be producing some sort of spinoff to the series as well. The show has continued to grow year after year, and it has yet to peak in terms of viewership. We can expect AMC to continue to renew the television show as ratings continue to demolish the competition. 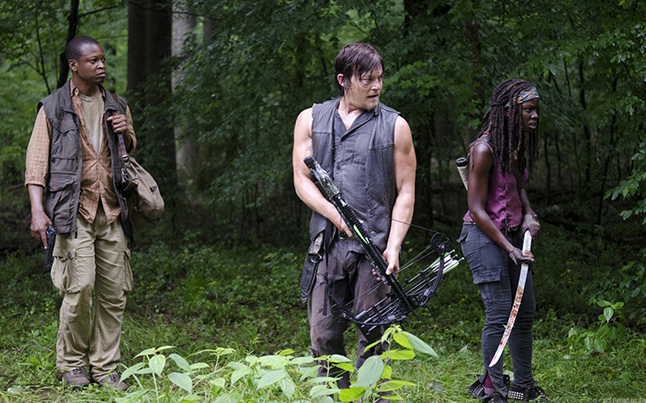 We can’t wait to see what’s in store for season 5 of The Walking Dead! “The Walking Dead is the number television…”? which number is it?